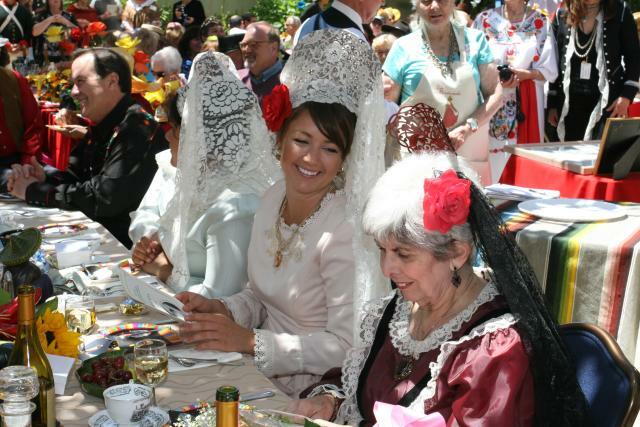 Join a wide array of community leaders at the 86th Annual La Merienda! Come celebrate the City of Monterey&apos;s 247th birthday with a very special BARBECUE BUFFET EXTRAVAGANZA, a five-star culinary experience created by the OLD FISHERMAN’S GROTTO CHEFS and the VIP Merienda Barbecue Committee, with entertainment by Mike Marotta, Jr. & special guests, mariachis, and folklorico dancers, and a festive "Californio" party in the beautiful Memory Garden on Custom House Plaza . 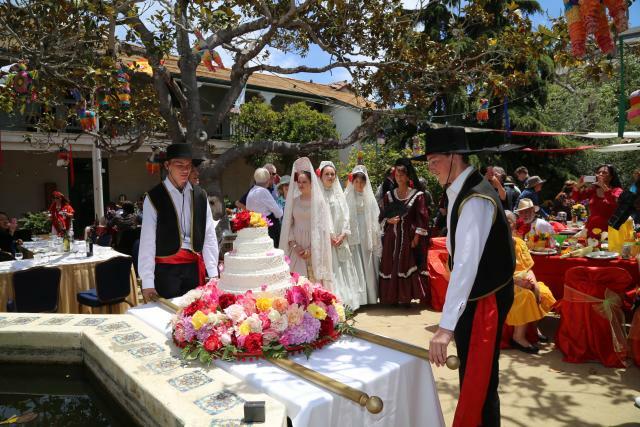 Monterey&apos;s 247th birthday celebration "La Merienda", the City&apos;s oldest and festive annual event, will be held on Saturday, June 3, 2017, from 11:15 am to 3 pm in the Memory Garden on Custom House Plaza. For the past 85 years, the Monterey History & Art Association has hosted this community fiesta to commemorate the founding of the City of Monterey when in 1770 Father Junipero Serra and Captain Gaspar de Portola celebrated with a picnic overlooking the Monterey Bay. The OLD FISHERMAN&apos;S GROTTO CHEFS and the VIP Merienda Barbeque Committee will once again create La Merienda&apos;s BBQ BUFFET EXTRAVAGANZA, a five star culinary experience that includes Certified Angus Beef New York Steak, BBQ chicken breast, mild Italian sausage, salmon and sauteed shrimp scampi, beans, grilled bread and many types of salads, wine, beer and soft drinks. This mouthwatering feast will be followed by the traditional dessert, a beautiful multi-layered birthday cake decorated with fresh roses. La Merienda features Master of Ceremonies David Marzetti and outstanding entertainment by local legend and Accordion player extraordinaire Mike Marotta Jr. & his special guests, mariachis and folkorico dancers. Gallant dons, donas and senoritas in 18th century costumes will be the order of the day at this festive "Californio" party. There will also be a Silent Auction and 50/50 drawing. All guests are also welcome to dress in 18th century costume (optional). Meet elected officials, military leaders, and local dignitaries at this not-to-be-missed annual event! This outstanding party attracts over 500 people each year. Monterey History & Art Association (MHAA) has hosted this party for the last 85 years and all proceeds go towards supporting Monterey&apos;s history and arts programs. The cost is $65 per person and tickets are available at www.montereyhistoryandart.org/lamerienda. For further information, go to montereyhistoryandart.org or call (831) 372-2311.